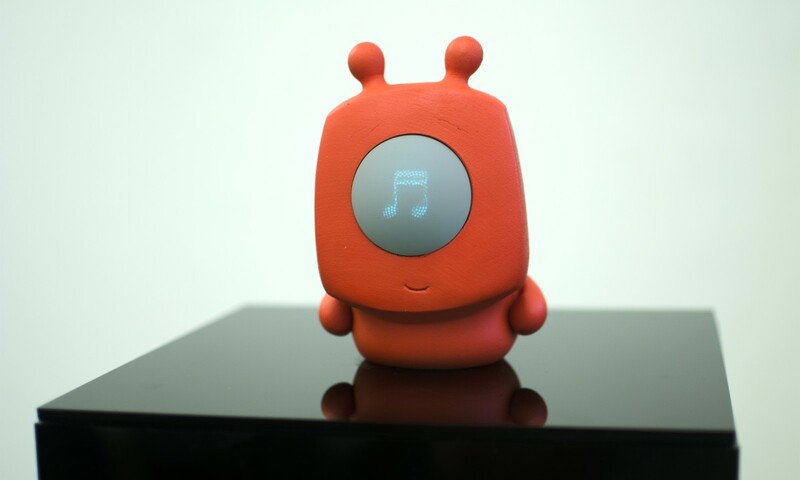 Face-to-face communication begins with the eyes, and Papillon makes highly expressive animated eyes possible for fun interactive characters, robots and toys. 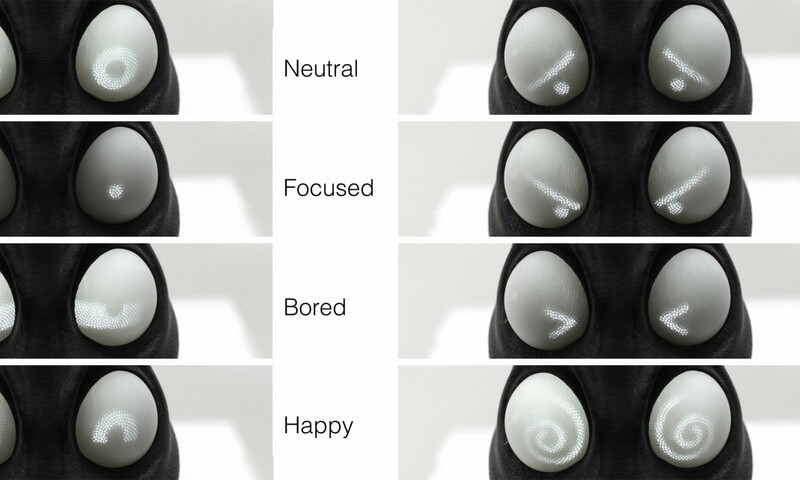 Designing expressive eyes has previously been a critical challenge, but now Papillon utilises the technology of 3D printing to allow eyes to show emotion. The traditional animatronics approach to producing eyes that are non-realistic and highly exaggerated, doesn’t lend itself to fictional characters from animated movies, comics and cartoons. They are also expensive and difficult to scale down for small characters. The other alternative of video projection is also expensive, and again doesn’t work well for small characters or those with sunken eyes, for instance. PAPILLON overcomes all these disadvantages by using 3D printed optics. Bending light much like fiber optics, images are projected on the receiving end of a bundle of elements to the surfaces of the character’s eyes. Printed optics also allow unusual eye shapes and positioning. The eyes are printed slice-by-slice using transparent photopolymers separated by a translucent support material. Papillon is highly scalable and flexible. As well as being used for building interactive toys, supplemental characters for video games, robots, it could, perhaps, even be used for prosthetic eyes in the future. 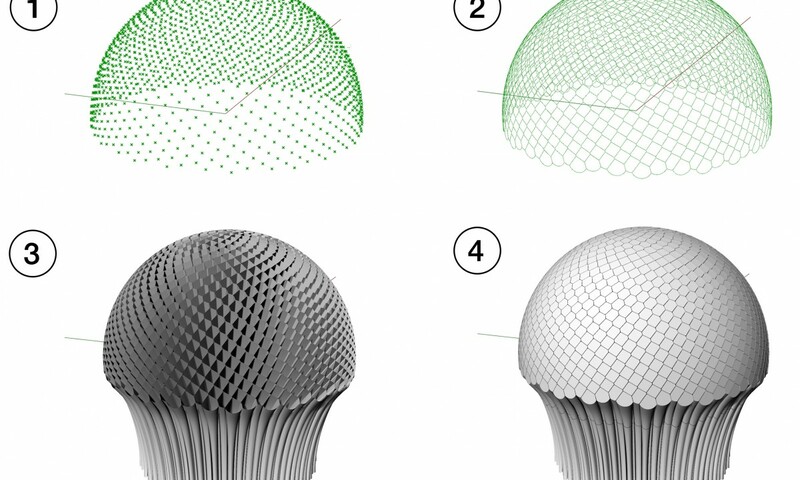 The technology is based on a set of algorithms that implements classic Fibonacci spirals and Voronoi tessellation which allows for efficient packing of bundled elements, to create arbitrary curved display surfaces while minimizing visible artifacts, such as light distortions on the edges of the eye. Produced in collaboration with Eric Brockmeyer at Disney Research Pittsburg. The research team also included Moshe Mahler, James Krahe, Yuri Suzuki and Alex Rothera of Disney Research Pittsburgh, Joanne Dauner, a Disney Research Pittsburgh intern and visual communications student at the Berlin University of Arts, and Scott Hudson of the HCI Institute at Carnegie Mellon University.